string(128) "Smarty error: [in content:content_en line 20]: syntax error: unrecognized tag 'HitCounter' (Smarty_Compiler.class.php, line 590)"
Tonto Home Loans Australia Pty Ltd v Tavares; FirstMac Ltd v Di Benedetto; FirstMac Ltd v O'Donnell  NSWCA 389. Allsop P.
170 Before turning to the evidence it is appropriate to say something of the ultimate issue that is being addressed. 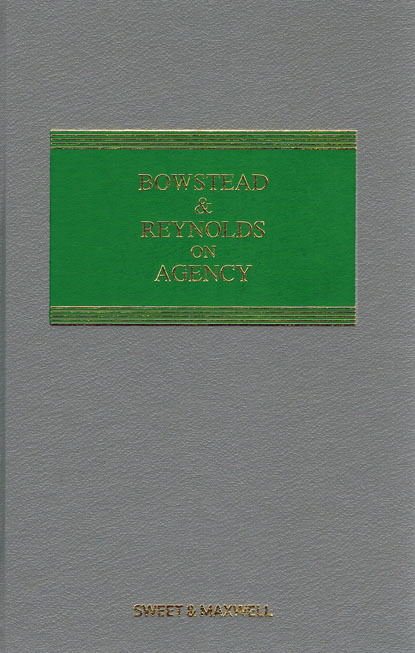 The word agency is one apt to cause difficulty, in significant part, because of its broad usage in business: Kennedy v De Trafford  AC 180 at 188; Colonial Mutual Life Assurance Society Ltd v Producers and Citizens Co-operative Assurance Co of Australia Ltd  HCA 53; 46 CLR 41 at 50; Scott v Davis  HCA 52; 204 CLR 333 at 338 , 408  and 435 . It is a common business expression with a potentially wide and varying meaning. "Agency is a word used in the law to connote an authority or capacity in one person to create legal relations between a person occupying the position of principal and third parties. But in the business world its significance is by no means thus restricted." The relevant question in that case was whether the manufacturer of goods (or its Australian subsidiary) was a party to a contract for sale of equipment sold through one of its distributing "agents", so-called. The question was whether the so-called agent had capacity to make the manufacturer (or its local subsidiary) a party to the contract for sale of goods, and so bind its interests. The distribution agent was a business in its own right, not in any way acting on behalf of the manufacturer in the sale transaction in question. HomeSec Finance Express Pty Ltd v Richardson  NSWSC 1375. Button J. "(1) Agency is the fiduciary relationship which exists between two persons, one of whom expressly or impliedly manifests assent that the other should act on his behalf so as to affect his relations with third parties, and the other of whom similarly manifests assent so to act or so acts pursuant to the manifestation. The one on whose behalf the act or acts are to be done is called the principal. The one who is to act is called the agent. Any person other than the principal and the agent may be referred to as a third party. (2) In respect of the acts to which the principal so assents, the agent is said to have authority to act; and this authority constitutes a power to affect the principal's legal relations with third parties. (3) Where the agent's authority results from a manifestation of assent that he should represent or act for the principal expressly or impliedly made by the principal to the agent himself, the authority is called actual authority, express or implied. But the agent may also have authority resulting from such a manifestation made by the principal to a third party ; such authority is called apparent authority. (4) A person may have the same fiduciary relationship with a principal where he acts on behalf of that principal but has no authority, and hence no power, to affect the principal's relations with third parties. Because of the fiduciary relationship such a person may also be called an agent."